This is only a test for now and Epic Games could change things up even further to influence the matches. Get down into the battlefield even faster! The Fortnite developers have spent a little time under the hood of the legendary Battle Bus and are testing out a boosted engine. It now travels 25% faster over the Fortnite battle royale map, getting you into the fray a bit quicker. This will likely impact the Fortnite battle royale experience a couple of ways. 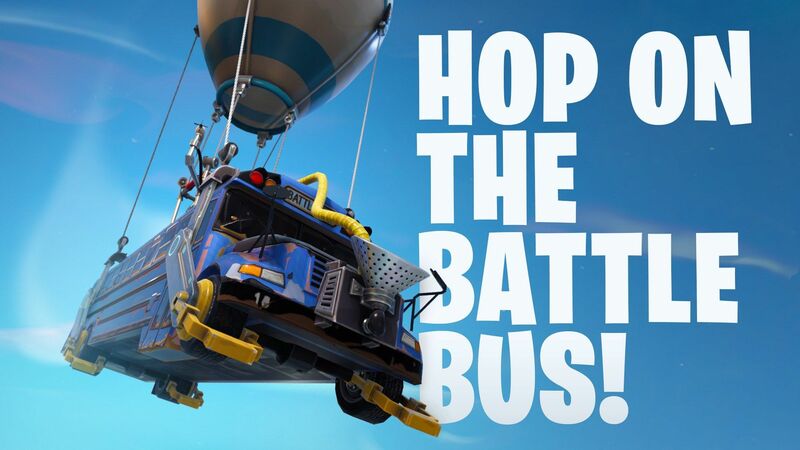 Not only will players be dropped out of the Battle Bus faster in Season 6, but the first space-constricting circle in the form of a storm will go live a bit faster. It's not clear if this is the development studio's plan, but both of these things will shorten Fortnite's match time. The game is already known for its quicker pace relative to other battle royale games and this could result in players being reinserted into new matches quickly once they perish in a previous match. From the language of the tweet, further experiments with the speed and function of the Battle Bus could change going forward. Epic Games has also released the Fortnite v6.10 PC update and added in-game tournaments, strengthing the game's esports capabilities. If you want to take your Fortnite expertise to a different arena, Where In Fortnite is a Geoguessr-inspired game that has players guessing popular locations on the battle royale map. Fortnite is available now for PS4, Xbox One, Nintendo Switch, PC, Android, and iOS. Check out our Fortnite Streetlight Spotlight location guide so you can knock out the Season 6 Week 1 challenge and stay tuned to Shacknews for more updates.